Not content with being just the home of the Olympics, Eurosport is cementing its position as the home of cycling following the acquisition of more broadcast rights. A new four year deal with the Union Cycliste Internationale (UCI) and European Broadcasting Union (EBU) has been announced, starting immediately and running until the end of 2020, will see Eurosport broadcast every major UCI event exclusively in 36 countries and territories in Europe across all disciplines, including the UCI Road World Championships, UCI Track Cycling World Championships and the UCI Cyclo-cross World Championships. The additional UCI cycling coverage comes on top of its existing coverage of every Grand Tour – the Giro d’Italia, Tour de France and the Vuelta a España, giving Eurosport viewers over 200 days of live cying and 2,500 hours of coverage across its channels. 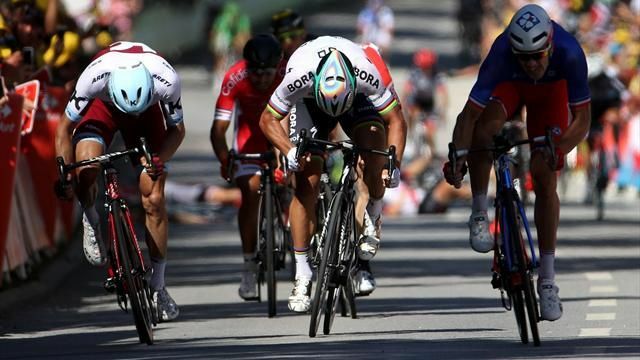 Eurosport’s coverage of UCI events starts on the weekend of 17th September when Slovakian Peter Sagan looks to defend the Rainbow Jersey at the Road World Championships in Bergen, Norway. “We’re thrilled to be able to bring even more world-class cycling action to millions of passionate fans on Eurosport. Eurosport remains the place to be to watch their heroes in action – whether it be on TV, streaming or on-demand via the Eurosport Player. After a four-year absence from Eurosport screens, we are delighted to have reached an agreement with the UCI for the next four-year cycle. Along with our enhanced production of events such as the Tour de France, we can continue to claim the mantle of the Home of Cycling."